Chronic facet joint pain can virtually control a patient’s life and limit both physical functionality and productivity to a huge degree. Chronic pain has become a major crisis in the developed world and is still greatly misunderstood by medical science. In particular, dorsalgia conditions account for the majority of chronic pain diagnoses, the majority of disability claims and the most feared diagnoses in the modern medical sector. Chronic facet joint syndrome symptoms are not generally known to be debilitating. 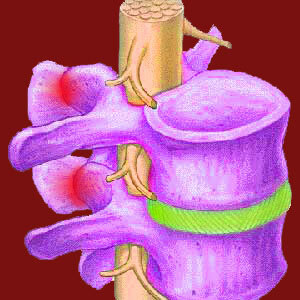 Most cases produce steady mild to moderate pain upon movement of the affected vertebral joints. However, some cases can be agonizing and literally cause patients to live in fear of each new call to motion. Pain that endures for an extended timeline has virtually no chance of resolving organically, so it is no wonder that many patients choose to undergo dramatic and invasive surgical techniques, rather than continue suffering without hope for a normal life. This patient guide examines chronic facet syndrome. We will explore the reasons why pain becomes chronic and provide guidance on the best ways to stop the cycle of agony and return to a pain-free life. If you are suffering daily from persistent zygapophyseal joint pain, then this empathetic essay is geared just for your needs. What is Chronic Facet Joint Pain? Chronic pain describes symptoms that are persistent and do not resolve. There are several chronic patterns that are possible in facet joint syndrome: The first is a cycle of recurrent acute attacks that generally come more frequently until some pain is virtually always experienced. The next is pain that does not resolve and is present at all times or at all times of spinal movement. The last involves both ever-present pain, usually at low to moderate levels of intensity, with the addition of acute flare-ups of severe pain occasionally. Chronic pain is a common symptom of facet syndrome, since most patients demonstrate movement as a primary symptomatic trigger. It is virtually impossible to immobilize the spine and live any semblance of a normal life. Every activity we perform requires some amount of spinal movement and therefore begets pain. The typical result of this vicious cycle is a patient who prefers to stay in bed and moves as little as possible in order to enjoy some level of relief. Of course, a sedentary lifestyle is extremely unhealthy, both mentally and physically. Patients lose all motivations in life, gain weight, endure muscular atrophy, metabolic problems and skin problems if they spend most of their time in bed. While patients recognize these collateral problems, most simply do not know what else to do to cope with their pain. Our extensive research into various forms of chronic pain provides a frightening glimpse at the reality faced by many patients. If pain endures for more than a year, the patient will have little hope of achieving a cure, regardless of treatment or the passage of time. Furthermore, the longer pain persists, the greater the chances the patient will be forced to try dangerous surgical interventions and the worse the chances of the surgeries being successful become. Finally, the longer pain exists, the more negative consequences tend to add up in the body as a direct result of many years of pharmacological therapy. Common health problems include liver and kidney troubles, blood poisoning and an overall reduction in constitution. Chronic pain is a serious problem with no easy solutions. However, for facet syndrome sufferers, there is good news. Many cases of chronic facet joint pain can be cured, even if they exist for long timelines. The most important factor leading to effectual care is accurate diagnosis, so patients are encouraged to pursue this objective as their primary path towards a cure. So many patients write to us for advice, citing years of failed conservative care culminating in one or more targeted surgical interventions. They still have pain and wonder why. The most logical explanation, and the one we find to be most valid in our extensive experience, is misdiagnosis. Patients will try many treatments, but never think to question the accuracy of their diagnosis. In essence, the treatments all fail because they are applied towards a condition that is not the true cause of pain. This should be food for thought for any chronic pain sufferer, regardless of their diagnosis.